UTI Asset Management Co. Ltd (UTI AMC), an offshoot of the now defunct Unit Trust of India, the county’s oldest fund house, is seeing a sharp erosion of assets under management (AUM) and investor base as the search continues for a chairman and managing director to replace U.K. Sinha, who took over as chairman of the capital market regulator in mid-February. A successor for Sinha has proved to be elusive. Since his departure, UTI AMC’s assets have declined by about 7%, to Rs62,580 crore from Rs67,189 crore, pulling it one notch down to fifth place in the pecking order of Indian money managers, after HDFC Asset Management Co. Ltd, Reliance Capital Asset Management Ltd, ICICI Prudential Asset Management Co. Ltd and Birla Sun Life Asset Management Co. Ltd.
UTI AMC has been losing investor accounts in the thousands every month. It lost at least 83,350 folios, or investor accounts, since September 2010 with the overall figure dropping from 99,71,036 to 98,87,686 in September 2011. During this period, UTI AMC’s peers have significantly augmented their investor base. For instance, HDFC Mutual Fund saw its folio count growing by 4,80,000 to 46,80,610 and Reliance Mutual Fund by 1,80,000 to 74,30,653. While most mutual funds raised money selling fixed maturity products, or FMPs, in a high interest rate scenario, UTI AMC’s market share has fallen because it could not launch any new fund since mid-February as the Securities and Exchange Board of India, or Sebi, requires a CMD to be in place for this. In the first 10 months of this year, some 551 schemes have been launched by the industry, garnering Rs90,212 crore and of these, 503 are FMPs. Investors prefer debt instruments in a rising interest scenario as they earn reasonably high returns while the equity market is falling. The Reserve Bank of India has raised its policy rate seven times by 2.25 percentage points since January this year. Sensex has lost about 18% since January. “We have expressed our concerns over UTI AMC due to the absence of a chief," Sinha told Mint last week. 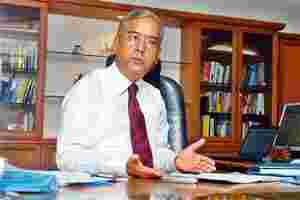 Former chairman and managing director of UTI AMC U.K. Sinha. He took over as chairman of Sebi in February. Photo by Ashesh Shah/Mint. 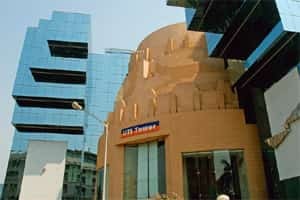 UTI AMC’s net profit for fiscal 2011 fell by 19.24% to Rs137.5 crore, from Rs170.27 crore in fiscal 2010. The company currently does not have an adequate number of independent directors on its board. Following the resignations of Haldea and Ramachandran, its single largest shareholder, US-based asset management firm T. Rowe Price Global Investment Services Ltd, has two representatives on the board. P.R. Khanna, Sachit Jain and Pradeep Gupta are the other board members. Several newspapers and television channels have reported that two senior executives of the firm, who are part of a panel that is overseeing the fund house in the absence of a helmsman, are in the race for the top post at a rival fund. But UTI AMC denied the report, saying none of its senior management members, including members of the committee of executives that is running the fund, has been looking for a change. A four-member committee of executives, consisting of Jaideep Bhattacharya, chief marketing officer; Imtiyazur Rehman, chief financial officer; Anoop Bhaskar, head of equity; and Amandeep Chopra, head of fixed income business, is running its day-to-day operations. The crux of the issue is: who will become the next chairman and managing director of UTI AMC? Before Sinha left for Sebi, UTI AMC’s five shareholders—Life Insurance Corp. of India (LIC), State Bank of India (SBI), Punjab National Bank, Bank of Baroda and T. Rowe Price—converted the human resource and compensation committee of the board into a search committee. Haldea, Ramchandran and James Sellers Riepe were members of this committee. The board also appointed executive search firm Egon Zehnder to recommend a suitable candidate for the top job to this panel. After screening close to three dozen candidates, the firm zeroed in on two names— the managing director and country head of a US asset management firm, and the country head and chief executive of a US insurer, which runs a bouquet of businesses in India. But the government, which owns the majority stake in the firm indirectly through the three state-owned banks and LIC, backed Jitesh Khosla, an Indian Administrative Service (IAS) officer of the Assam cadre. Khosla also happens to be the brother of Omita Paul, adviser to finance minister Pranab Mukherjee. Until a few months back, Khosla was an officer on special duty in the Indian Institute of Corporate Affairs. The banks and LIC stepped in as sponsors in 2002 when Unit Trust of India crumbled under the burden of assured return schemes and was split into two separate entities—UTI AMC and the Special Undertaking of UTI. The four new shareholders picked up stakes in equal proportion and UTI AMC came under regulations of Sebi. Now, they hold 18.5% each and T. Rowe Price 26%. There has been speculation in the media about Khosla’s appointment. A person with knowledge of the situation said on condition of anonymity that although the search committee did not find him suitable initially, he will become the next UTI AMC chief as the shareholders have shed their inhibitions about accepting him. There was speculation, too, that the top post would be split into two with Khosla being appointed chairman and another executive as managing director, but the government is not willing to accept that. “Some shareholders wanted a person with adequate experience in the industry and not an IAS officer to be appointed as the chief," said a senior UTI AMC official on condition of anonymity. “T. Rowe Price, too, was concerned about the appointment process, but the government hinted that it could buy out its stake through one of UTI AMC’s existing shareholders." In an email response to Mint, T. Rowe Price said: “As we have stated, the process for selecting a new CMD is ongoing, and we continue to have faith in the board of UTI and the board-led search process. We respectfully decline any further comment at this time." People with knowledge of developments in UTI AMC said another contentious issue is Khosla’s unwillingness to quit the IAS cadre to take the top job at the fund house. Under the norms, an IAS officer needs to quit the service to join a regulatory entity. But previous UTI chief M. Damodaran, who later headed Sebi, did not quit the IAS. Sinha too quit long after he took over as boss. Dhirendra Kumar, CEO of Value Research Online Ltd, a Delhi-based mutual fund tracker, criticized the idea of appointing an IAS officer as the chief of a fund house where a foreign entity is the single biggest stakeholder. “There are multiple issues. A big loss for the fund house over the past eight-nine months is its inability to launch FMPs which is the flavour of the season," Kumar added. Khosla is likely to be appointed CEO after the company’s board meets later this month, said two persons with direct knowledge of the matter. “We have written to the shareholders that having a CMD immediately is most important at the moment. We have conveyed our concerns to the shareholders. We have requested them to reply early and they will do it soon," said one of the directors on the board of UTI AMC who did not want to be named. If the shareholders want to reopen the selection process, there will be further delays, leading to demoralization of UTI employees and loss of business. Three people familiar with UTI AMC’s functions—two of them are employees—said the fund house has been plagued by multiple issues since the split of the erstwhile Unit Trust of India. The fund house planned an initial public offering, or IPO, in 2008 but the plan was scrapped. They (the three people mentioned above) also alleged that the firm has violated norms by not mentioning employees stock option, or ESOP, schemes in its audited balance sheets. In the IPO prospectus filed with Sebi, UTI AMC mentioned ESOPs. The scheme was approved by the shareholders in the general meetings in 2007 and the company has since granted stock options to its employees, the prospectus said. But the company’s financial statements, auditor’s reports and balance sheets do not mention the status of ESOPs. Going by the guidance note on accounting for employee share-based payments of Institute of Chartered Accountants in India, it is mandatory for every company to disclose the status of ESOPs in such reports. A spokesperson for UTI AMC declined to comment on the issue. The money manager’s trade union has been raising uncomfortable questions about its recruitment policies and selective pay hikes and promotions and opaque performance appraisal process. UTI declined comment on these aspects too. In 2009, T. Rowe Price bought a 26% stake in UTI AMC for $140 million (around Rs652 crore), valuing the fund house at around Rs2,500 crore. According to UTI AMC officials, SBI wanted to buy the stake and was willing to offer a better price, but management was not willing to hand over the AMC to one of its existing promoters. The officials didn’t want to be named. The fall in UTI AMC’s AUM and investor folio count will lower its valuation, but the four sponsors will not be hugely affected—they have their own fund houses that stand to gain from UTI AMC’s loss. Besides, they have partially recovered their investment in UTI. In 2003-04, the four sponsor-shareholders bought equal stakes in the fund house for nearly Rs1,300 crore. For selling a 6.25% stake to T. Rowe Price each shareholder received Rs163 crore, double what they had paid (Rs 81.25 crore) when they took over as sponsors of UTI AMC in 2003-04. Management has been trying to bolster morale at the fund house and woo new investors through initiatives like Swatantra but the void at the top has for long paralyzed the firm. Swatantra is an initiative for creating awareness about the concepts of financial planning and benefits of investing in mutual funds. All UTI AMC’s campaigns have a common punch line— Kisne sikhai India ko investment ki bhasha? (Who taught India the language of investment?). Going by the steady erosion of assets and investor base, UTI AMC’s boast doesn’t seem to be impressing customers.